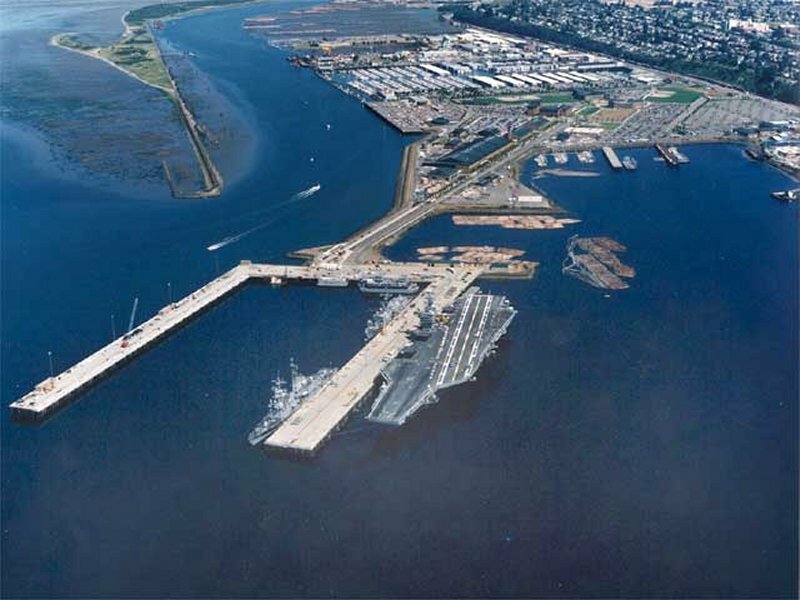 Naval Station Everett is located next to the marina area of the city of Everett, WA, 25 miles north of Seattle. The Navy Support Complex is located between Marysville and Arlington, 11 miles north of the naval station. Naval Station (NAVSTA), Everett is located on the northeast side of Possession Sound. 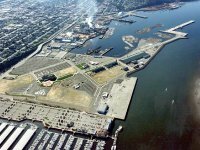 NAVSTA Everett was designed as a homeport for a US Navy Battle Group. It accommodates the USS Abraham Lincoln (CVN-72) a Nimitz Class aircraft carrier as well as several smaller surface combatants. 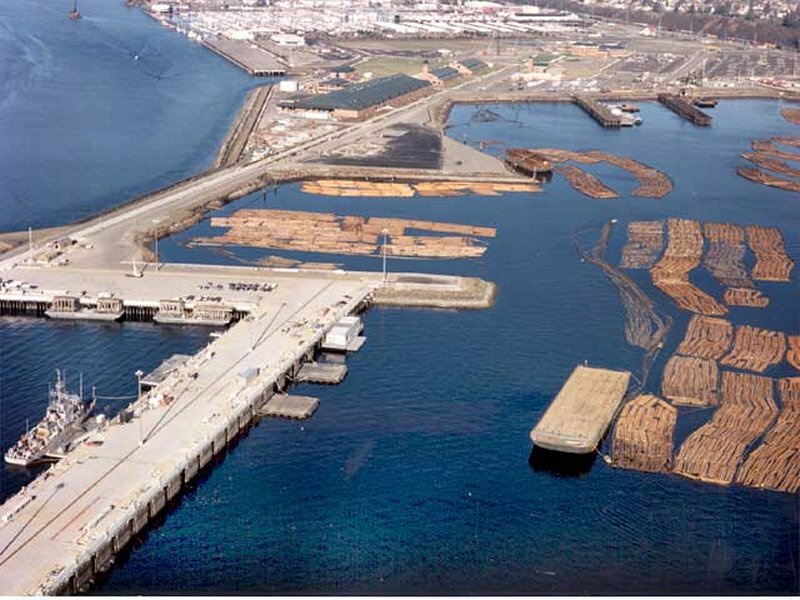 The primary ship berthing facility at NAVSTA Everett is one long pier, designated as Pier Alpha. Mooring is available on both sides of the pier. A second pier is designated as Pier Bravo. Pier Alpha is 1,620 ft (494 m) long, with a width of 120 ft. Pier Bravo's western side is of rip-rap construction and acts as a breakwater. Its eastern, moorage side is slightly shorter than Pier Alpha, with similar width. Pier Alpha's alongside depths range from 29 ft (8.8 m) at the northeast end to 65 ft (19.8 m) at the southwest end on the east side of the pier. A 1996 survey revealed that the depths between piers Alpha and Bravo, including alongside depths at Pier Bravo, range from 43 to 45 ft. Local authorities state that deck heights for both piers range from eight ft above extreme high water level to 27 ft above extreme low water level, or 22.5 ft above mean lower low water. The anchorage for the port is located approximately two nmi west of Pier Bravo at 47°58'54"N 122°14'40"W. No US Navy ship had used the anchorage as of an April 1995 port visit, but holding is reported to be good on a bottom of sand and mud. Buoy "Alfa Oscar" (AO) marks a submerged obstruction near the center of the anchorage. NAVSTA Everett has no tugboat complement. Tugs used at the port are primarily commercial because US Navy tugs must travel from the Submarine Base at Bangor, a distance of approximately 34 nmi. Requests for tugs should be directed to Senior Officer Present Afloat (SOPA) (Admin) Puget Sound at least 72 hours in advance of anticipated time of movement. 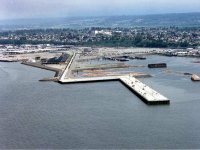 Naval Station Everett history began in 1983 when the Secretary of the Navy first proposed a new Puget Sound area naval base as part of the Strategic Homeport concept. In the early 1980s Congress approved the strategic homeporting initiative to build additional bases and disperse the fleet from the main concentration areas. Navy Secretary John Lehman first proposed the original strategic homeporting scheme. In the early 1980s Congress approved the strategic homeporting initiative to build additional bases and disperse the fleet from the main concentration areas. The strategic homeport program was extensively debated in Congress. It enjoyed the support of not only of the House and Senate but of the Reagan Administration and the Department of Defense. It was decided in 1985 that the strategic homeport program was the best method for implementing the militarily sound principles of dispersal, battlegroup integrity, and increasing the naval presence in the geographic flanks. 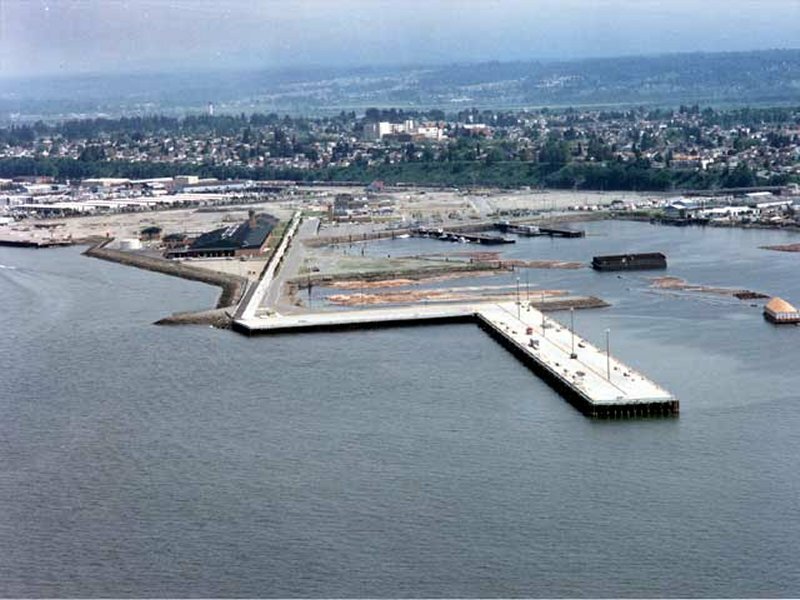 On April 17, 1984, Everett was selected from among 13 ports as the ideal location for the new homeport. Congress approved the first funds for construction on October 2, 1986 and the official ground breaking ceremony was November 9, 1987. 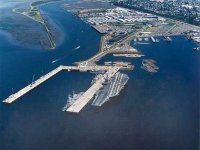 The Navy awarded the $56 million carrier pier construction contract on September 9, 1988, and in June 1992, three Navy ships participated in the formal opening of the new pier. 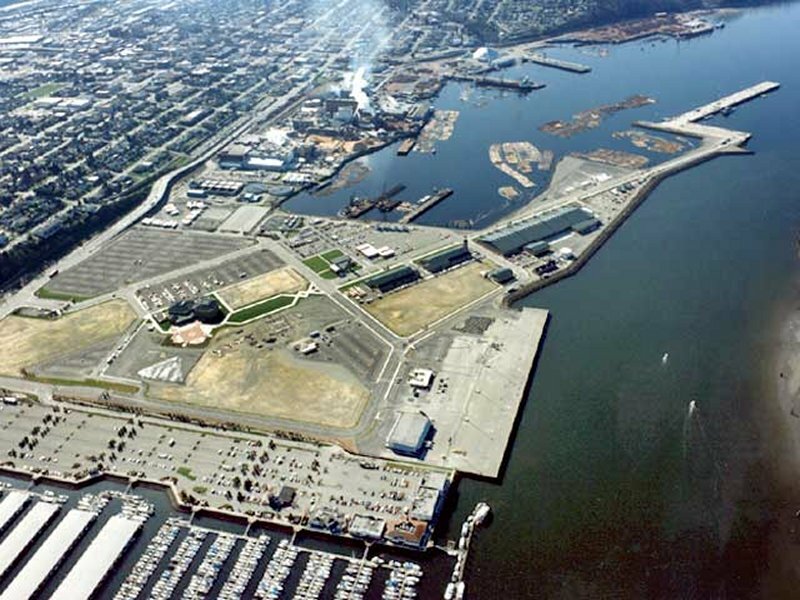 A second ground breaking ceremony was held August 30, 1993 for the Naval Station Everett Support Complex, located off 136th Street in Smokey Point. The Navy acquired the 52-acre site to build a commissary, exchange, family service center, thrift shop, education offices, bachelor officer quarters, craft shop/gear issue, chapel and religious education center, an auto hobby shop, ball fields and courts, fleet parking for personnel assigned to deployed Everett-based ships and a 50-room Navy Lodge. During the first week of 1994, Naval Station Puget Sound personnel began transitioning to the new Fleet Support and Administration buildings and officially began operations at Naval Station Everett. On April 8, 1994, an official dedication ceremony was conducted with over 1,000 guests in attendance. On Sept. 3, 1994, USS INGRAHAM (FFG 61) and USS FORD (FFG 54) arrived as the first of seven ships to be assigned here. On November22, 1995, USS PAUL F. FOSTER (DD 964) arrived at the naval station. On that same date, the Navy officially announced the assignment of USS DAVID R. RAY (DD 971), USS CALLAGHAN (DD 994), and USS CHANDLER (DDG 996) to Naval Station Everett. USS DAVID R. RAY arrived July 29, 1996 and USS CALLAGHAN and USS CHANDLER both arrived September 27, 1996. To complete the complement of ships at Naval Station Everett, USS ABRAHAM LINCOLN (CVN 72) made a change of homeport from Puget Sound Naval Shipyard at Bremerton to Everett on January 8, 1997. In March 1998, USS CALLAGHAN was decommissioned, and two ships based in Japan, USS FIFE (DD 991) and USS RODNEY M. DAVIS (FFG 60), made their official change of homeport to Everett on May 5, 1998. In July 1999 the Navy completed a Final Environmental Impact Statement (EIS) designed to determine the appropriate homeports for three Nimitz-class nuclear-powered aircraft carriers in the Pacific Fleet. The Final EIS preferred alternative supports developing facilities to homeport two Nimitz-class carriers at Naval Air Station North Island, CA. It also maintains Naval Station Everett, Wash. as a homeport for one Nimitz-class carrier. The possibility of relocating that ship's homeport to Puget Sound Naval Shipyard in Bremerton, Wash., was re-evaluated after USS Abraham Lincoln (CVN 72) completed a six-month scheduled maintenance period there in October 1999. 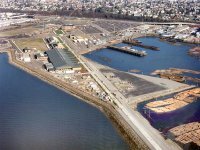 As part of the Environmental Impact Statement (EIS) process required by the National Environmental Policy Act (NEPA), the Deputy Assistant Secretary of the Navy (Installations and Facilities), Duncan Holaday, signed the Record of Decision 28 January 2000. The comprehensive analysis was designed to determine the appropriate homeports for three NIMITZ-class nuclear-powered aircraft carriers in support of the US Pacific Fleet. The EIS examined four locations: Bremerton, Wash.; Everett, Wash.; San Diego. ; and Pearl Harbor. The Navy's decision was to develop facilities to homeport two NIMITZ-class carriers at Naval Air Station North Island, Calif., in addition to USS JOHN C STENNIS, and maintain Naval Station Everett, Wash., as a homeport for one NIMITZ-class aircraft carrier. The successful completion of USS ABRAHAM LINCOLN's six-month maintenance period at the Puget Sound Naval Shipyard in Bremerton, Wash., validated the Navy's preference to keep a NIMITZ-class carrier homeported in Everett. The in-depth EIS process began in December 1996. 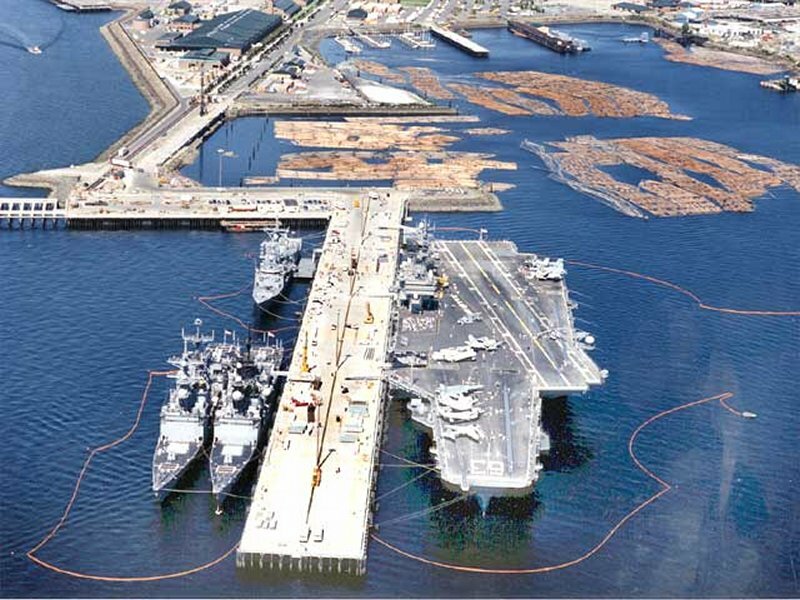 Following public scoping meetings held in communities at each of the four alternate locations in February 1997, the Navy spent more than 18 months examining the ports to determine how well they satisfied the CVN Homeporting Objectives and Requirements as they pertain to Operations and Training; Facilities and Infrastructure; Maintenance; and Quality of Life. The study also analyzed the potential environmental effects for each of the alternatives considered. Pier facilities at NAVSTA Everett are well protected from significant wave motion. Northwesterly swell may reach six to eight ft outside the inner portion of the port during periods of strong synoptic scale west to northwesterly flow over Puget Sound, but does not impact NAVSTA Everett piers. The new pier (Pier Bravo) is of breakwater type construction, with rip-rap on the west (outer) side. The berthing space is on the east (inner) side adjacent to Pier Alpha. The construction further reduced the effects of waves on vessels moored at the port. The prevailing wind during summer at the Port of Everett is northwesterly. A typical day starts with relatively calm conditions through mid to late morning. By noon, a north to northwesterly sea breeze regime takes effect, with wind speeds gradually increasing to 10 to 15 kt by late afternoon. The sea breeze normally lasts until late evening, when the winds again abate to near calm conditions. There are frequent variations to this pattern that are dependent on the pressure distribution over western Washington. The only identified hazard at NAVSTA Everett is strong wind. Although not a direct hazard to ships securely moored to Piers Alpha or Bravo, strong winds could pose difficult ship handling situations for ships arriving or departing the port and could impact otherwise routine pierside operations. Winds of 20 kt or greater (small craft warning velocities) can create hazardous boating conditions for small boats going to/from the anchorage. Ships in the anchorage should experience no significant effects from most southerly wind events, but a strong wind could cause problems if precautions are not taken. If possible, ships should move to berths alongside Piers Alpha or Bravo. If pierside berthing is not available, using a second anchor would mitigate the effects of the wind and reduce the possibility of anchor dragging. In any strong wind event, continuous position monitoring by the use of radar and sight lines is recommended to immediately detect any indication of anchor dragging. Southerly winds do not pose a significant problem to ships arriving at or departing from NAVSTA Everett. The alignment of Piers Alpha and Bravo mitigate the effects of the southerly winds during docking and undocking evolutions, but strong winds could pose ship handling problems in some situations. Ships arriving at NAVSTA from the Strait of Juan de Fuca will likely encounter the strongest winds in Admiralty Inlet, along the west side of Whidbey Island. Although not a truly hazardous weather condition to fleet units, the formation of a convergence zone can produce precipitation in sufficient amounts and intensity to adversely affect operations in exposed areas aboard ship and on the Naval Station. Everett is located in an area that is often affected by the "Puget Sound Convergence Zone." Weather in the convergence zone area is characterized by frequent showers. The convergence zone is caused by the splitting of low level, westerly airflow around the Olympic Mountains west of Puget Sound and subsequent convergence as the airflow merges east of the Olympics. It is most active following the passage of a cold front when the synoptic weather pattern brings generally westerly flow to the Puget Sound region, but can occur anytime westerly flow is present, including the summer season. Currents within the water area of the Naval Station are weak and ill defined. Similarly, currents away from the Snohomish River entrance just west of the Naval Station are generally weak. Currents in the river vary with the tide and weather. South-setting currents at the river's mouth may reach 4 to 8 kt during ebb tides and during periods of precipitation and/or heavy snow melt in the Snohomish River watershed.